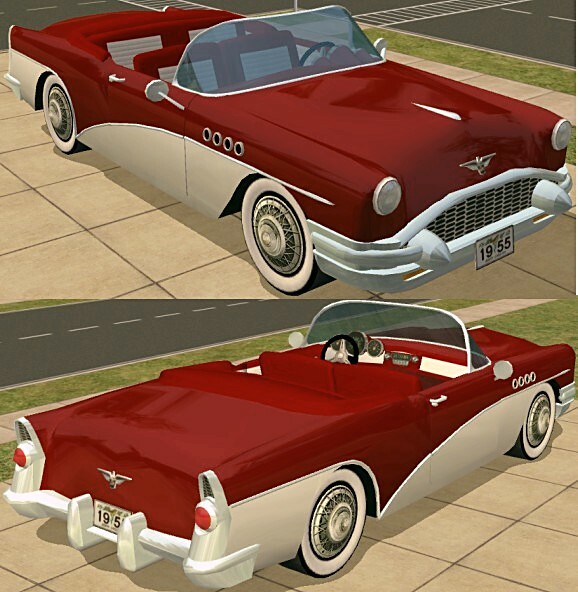 The DPXL55Buick.zip file has the mesh, the red/white body color, and the red/white interior color included. The DPXL55BuickColors.zip includes the six two/tone color options and the two solid colors as shown, plus matching interior color options. The model was modified from the Maxis sportscar using the .Ms3dASCII export/import of SimPE. NOTE! This section is just for credit, you do NOT need to download anything from this site to use the car in your game! The main object was updated Dec 2008 to be compatable with Numenor's game mod. 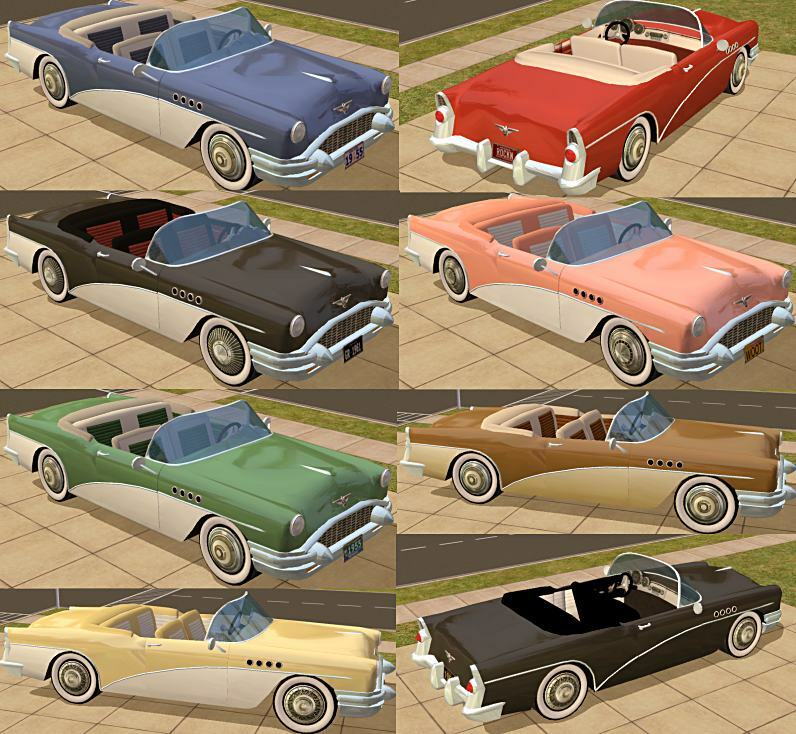 I also added the Buick portholes to the fenders and improved the look of the convertible top cover. If you have the older version, download the new mesh and over-write the old one. The color files are unchanged.